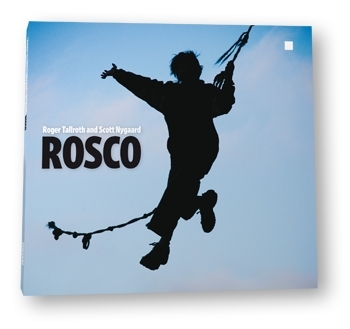 The Roger Tallroth and Scott Nygaard album, Rosco, is out and available in the US at CDBaby. I was just hyping “Rosco” to some friends of mine on the Well, and posted this URL, in the hope that some of them will explore this. I’m still loving it, Scott. And my favorites keep changing, which is a good sign. See you at the next Väsen show. I am a member of the Snohomish County District of the Washington Old Time Fiddlers, which is a nonprofit organization. We have jams twice a month and at each jam we have a one hour workshop taught by one of our members. She does a really good job teaching us how to learn to play the tunes together. We work through two or three tunes each workshop. Our members “contribute” tunes they wish to have in the workbook. We print about 150 of these Workbooks. For a few years we have been making CDs of these tunes as well, especially for the folks who learn by ear and don’t read music. On the CDs, the tunes are played by the members who “contributed” them, so are Not Professional, to more and less degree. We sell the books and CDs, mostly to our members, for only a couple dollars over what it costs to produce them, so we have a very narrow profit margin, and can not afford to pay royalties. Do you hold the rights to your tune Josephine’s Waltz, and would you allow us to use it in our workbook this year, and on the accompanying teaching CD? – with credits to you, of course. We would be glad to send you a copy of the workbook and CDs if you wish, and let us know the address to which you would like them sent.